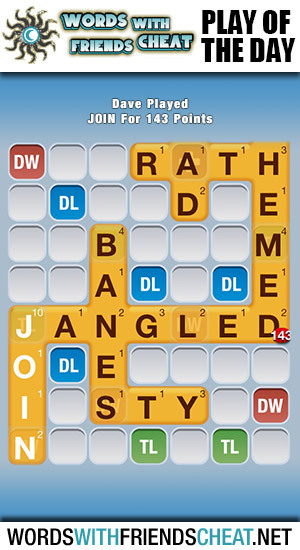 Today’s Words With Friends – Play Of The Day is JOIN (143pts) and was submitted by Words With Friends Cheat user Dave. Dave’s play fell on top of a set of triple letter and triple word tiles, also using its ten point “j” to link up with JANGLED. 1. to bring in contact, connect, or bring or put together. to join hands; to join pages with a staple. a place where cliffs and sea join. 2. a place or line of joining; seam.